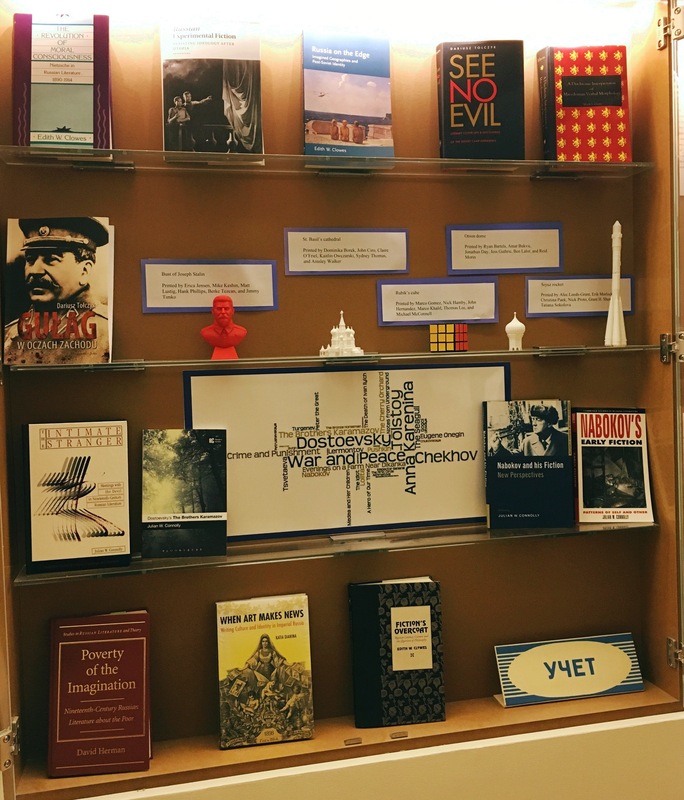 General response to the project, and the objects, at this event seemed positive, which is why we were quite surprised the next day to hear that one faculty member had a very strong negative reaction to one of the objects in the display case. After some deliberation, we decided to remove the object from the exhibit, and a few weeks later (due to class not meeting because of Spring Break) we discussed this reaction with the students in class. 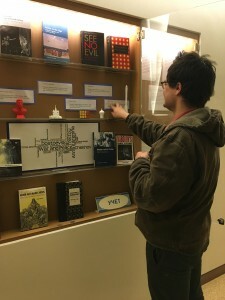 About a month after that discussion, towards the end of the semester, we gave students the option to re-print their objects if they wished, since at least one group had expressed interest in doing so – the group that printed the Rubik’s cube, for example, had thought about re-making their object to have movable parts. None of the groups chose this option, and headed into the work of their final projects with their original objects intact. The final project asked groups to complete two assignments. First was a 1,000-word essay addressing the ways in which the group’s view of their object changed, highlighting the following questions: In what ways does your object serve (or no longer serve) as a symbol of Russia? What might better symbolize Russia, or how could your symbol be improved? Did you have any misconceptions in your initial plan to work with this object? What were they? Where did they come from? Is this object ‘loaded’ with any preconceived notions from a Western perspective? From a Russian perspective? The second assignment was to create and give a 3-minute presentation addressing the following questions: What do the objects chosen by the entire class, and the ways the class arranged those objects, say about how we view Russia? What do these objects have in common? How do you think Russians might symbolically represent their views of the United States? As a final note, a few days after classes ended for the semester, I (Kathleen) came across a link on my Twitter feed to a story about upcoming Victory Day celebrations in the Siberian city of Novosibirsk. (Russians celebrate Victory Day every May 9 to commemorate the end of World War II, which they refer to as “The Great Patriotic War”). The story focused on a set of billboards being erected in the city for the celebrations, all of which prominently featured images of Joseph Stalin. This story adds another twist to our discussion of the use of Stalin as a symbol of Russia; for many Russians, he is still seen as a positive figure in the country, despite his treatment of Soviet citizens during his rule. Like the Russian _matryoshka _doll, the use of Stalin as a representation of Russia is complex and multi-layered, and can be unpacked and re-arranged in a myriad of ways. Cite this post: Jennifer Grayburn. “3D Printing in the Classroom: Outcomes and Reflections on a Slavic Course Experiment (1/2)”. Published May 23, 2016. https://scholarslab.lib.virginia.edu/blog/3d-printing-in-the-classroom-outcomes-and-reflections-on-a-slavic-course-experiment-12/. Accessed on .